Once the second city of empire, now descended by seemingly irreversible economic and demographic decline into European Union Objective One status, Liverpool defies historical categorization. Located at the intersection of competing cultural, economic and geo-political formations, it stands outside the main narrative frameworks of modern British history, the exception to general norms. What was it that established Liverpool as different or apart? In exploring this proverbial exceptionalism, these essays by a leading scholar of the history of Liverpool and of the Irish show how a sense of apartness has always been crucial to Liverpool’s identity. While repudiated by some as an external imposition, an unmerited stigma originating from the slave trade days or the Irish famine influx, Liverpool’s ‘otherness’ has been upheld (and inflated) in self-referential myth, a ‘Merseypride’ that has shown considerable ingenuity in adjusting to the city’s changing fortunes. The first stage towards an urban biography of Liverpool, these essays in cultural history reconstruct the city’s past through changes in image, identity and representation. Among the topics considered are Liverpool’s problematic projection of itself through history and heritage; the belated emergence of ‘scouse’, an accent ‘exceedingly rare’, as cultural badge and signifier; the origins and dominance of Toryism in popular political culture, the deepest and most enduring political ‘deviance’ among Victorian workers, at odds with present-day perceptions of Merseyside militancy; and an investigation of the crucial sites—the Irish pub and the Catholic parish—where the Liverpool-Irish identity was constructed, contested and continued, seemingly immune to the normal processes of ethnic fade. The final section offers comparative methodological and theoretical perspectives embracing North America, Australia and other European ‘second cities’. Belchem is entitled to take pride in this piece of Mersey History. 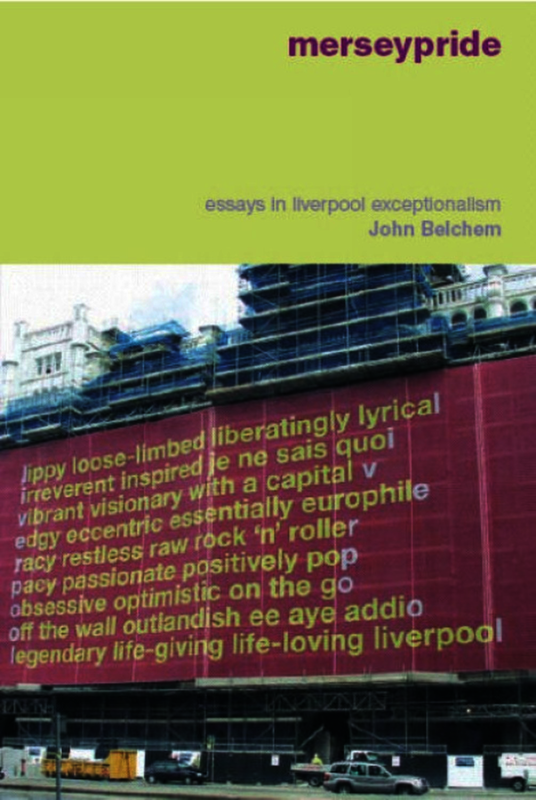 John Belchem is Emeritus Professor of History at the University of Liverpool, author of Irish, Catholic and Scouse: The History of the Liverpool-Irish, 1800–1940 (LUP, 2007) and editor of Liverpool 800: Character, Culture, History (LUP, 2006).